Description: STANDARDS CONFIRMED TO : ASTMD2272,D2112,D4742 IS:1448 (P-65), IP-229. To Test Oxidation Stability of Steam Turbine Oils, Mineral Turbine Oils, Gasoline Automotive Engine Oils, Inhibited Mineral Insulation Oils by ROTATING PRESSURE VESSEL OXIDATION TEST METHOD. *Automatic Model - Single, Double & Four Test - Details Overleaf. *Stainless steel pressure vessel with borosil glass beaker, Teflon / Bakelite cover and copper catalyst. *Temperature and pressure Units can be varied by the user. 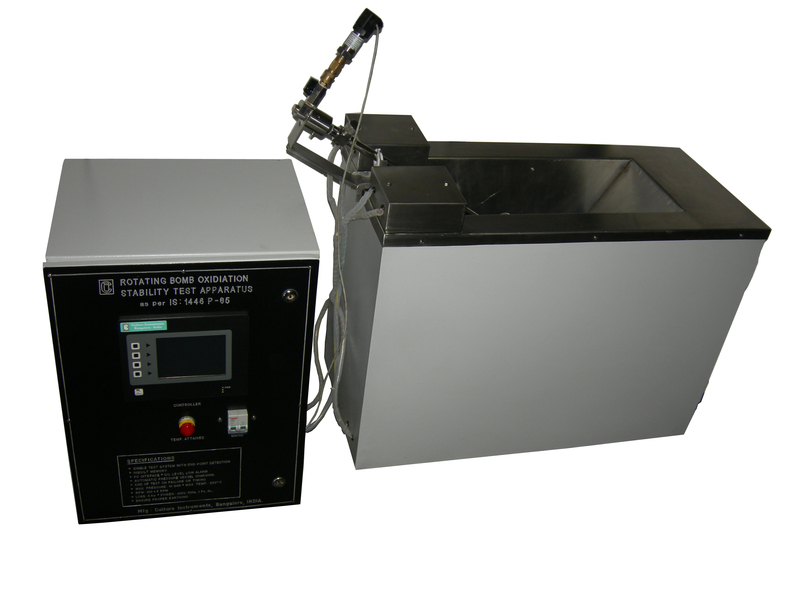 *Automatic Detection of end point and end of test for both RPVOT and TFOUT tests. *No special software is required to operate or interface the system.